I eat a lot of chocolate. I taste a lot of unusual chocolates and chocolate derivative products. But this special bar from Madre is unlike anything I've ever had before. It is a perplexing chocolate, and blind tasting it was really an astonishing experience. What I'm talking about is the inclusion of jaguar, or white, cacao, a sister-species of the chocolate tree (our beloved bean's scientific name is theobroma cacao, whereas this white cacao's name is theobroma bicolor) that can be fermented, dried, roasted, winnowed, conched, and molded just like regular chocolate, but which posesses an entirely different flavor. 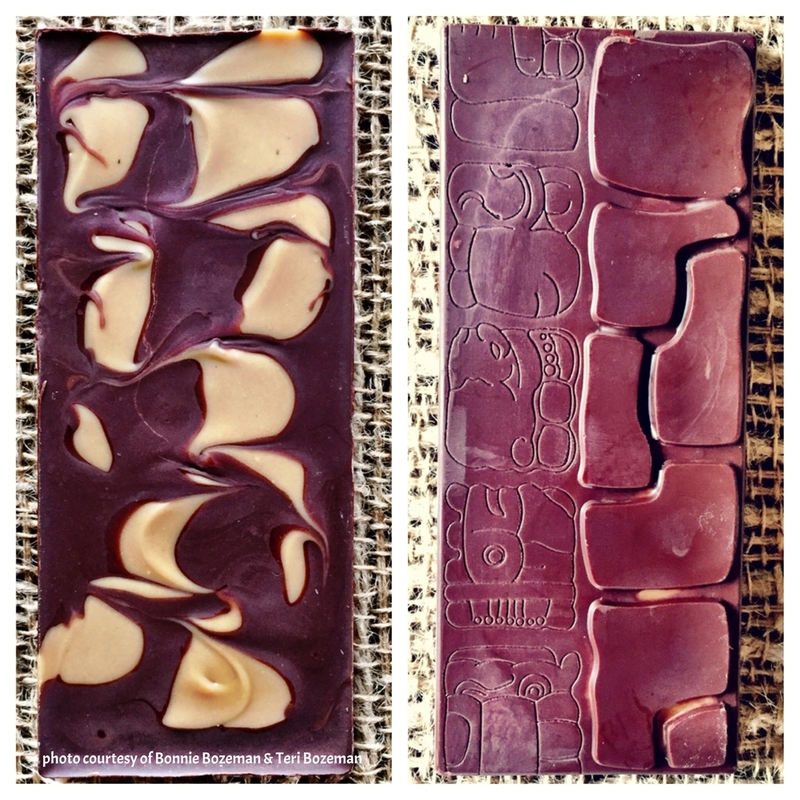 It is blonde-nutty in color, looking like a ribbon of peanut butter when swirled in with dark Guatemalan chocolate, and the moment a bite of it hits the palate, it's clear that the jaguar cacao really is an entirely different animal. The aroma is sweet, of peanut butter and raisins and toffee, and that nut buttery flavor persists throughout. In between, a lot of things happen: notes of cherry and vanilla waft through, along with a very strong middle flavor of something I can only describe as marijuana. My palate couldn't decide if I loved it or hated it, but in any case, this bar kept me coming back for another bite, to try and ferret out exactly what I was tasting. It is an intense and very rich bar that wants to be eaten in very small bites and savored, rolled around on the tongue, and paid attention to. Among, perhaps, the rarest bars in the world, I'm grateful to have had the experience, brought to me once again by my semi-nomadic sister-in-love, who knows a good thing when she sees it, and never fails to bring me back something complex and exciting--a tiny slice of her adventures that I can live out right here at home. 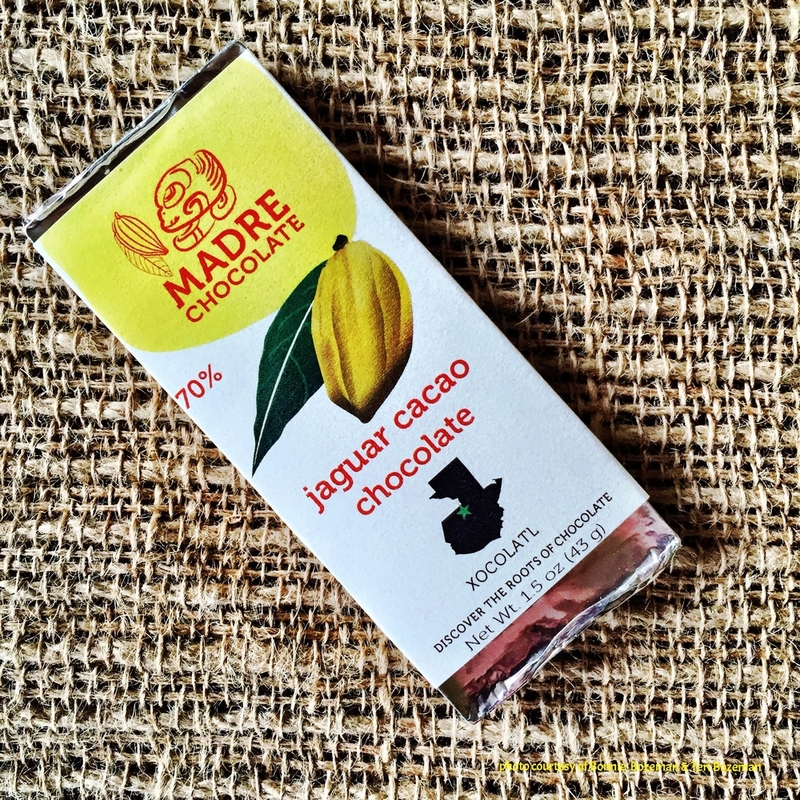 Madre Chocolate is a Hawai'ian bean to bar chocolate maker that has been on the craft chocolate scene since 2010. Co-founders Nat Bletter and David Elliott, have between them, many years of experience in botany, environmental justice issues, sustainable agriculture, travel, good food, you name it. Their collaboration to found one of the very few chocolate companies working with cacao grown on American soil has been energized and built around the principles they continue to learn by observing nature (for instance, they plan their delivery routes in Hawai'i using ideas they picked up from watching ants finding the most efficient routes in their micro-environments). Everything about their company is imbued with a sense of purposefulness and more than a nod to environmental preservation and equitable trade for farmer, maker, and consumer alike. Read more about their fascinating story and watch a short video on their methods here.